Want to know something awesome? My intern picked this outfit for me. Think about we pick out our own outfits, 365+ days a year, who doesn’t want a fresh perspective on their own wardrobe? How cool would it be to have your best friend there with you as you got ready in the morning? Having someone to bounce ideas off of is ideal. When is siri going to start giving fashion advice? Elena and I started talking about we get outfit inspiration. I told her I take tons of screenshots on my phone of outfits I see on Instagram or Pinterest. She admitted she does the same thing! So the real question is, how did this person who I just met a few days ago come into my house and make a magical outfit happen? Well, I really wanted to see her creative side shine through. I started tossing out post ideas, we decided on a valentine’s based look. From there I grabbed all the skirts I own, threw them on the bed. She sorted through. 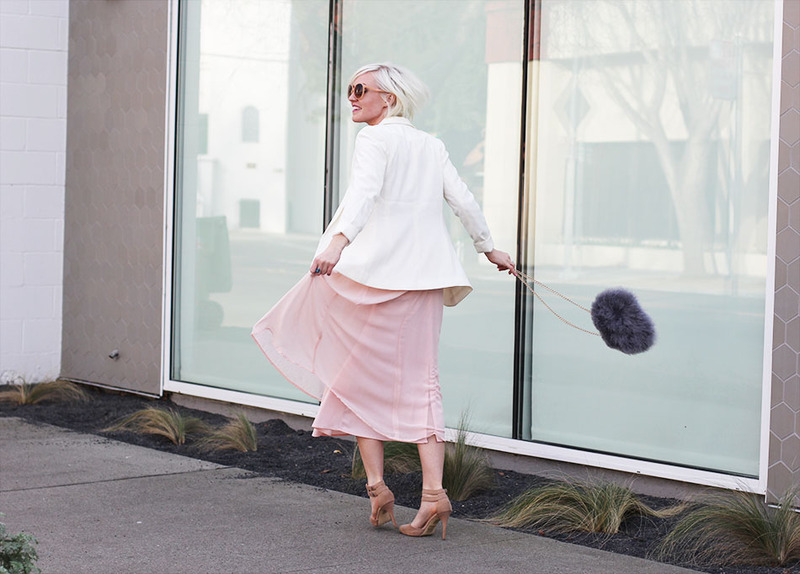 Landing on this magical pink skirt. This sparked the idea that she had a similar look on her phone. She pulls up this (click here for inspiration). I realize I don’t really have a sweetheart cut top with a pattern. I threw on a couple shirts and model them for her. From there I displayed 5 clutches to pick from. And that’s what collaboration looks like folks. I don’t think either of us would have picked this out if we were working alone. Being able to co-produce creatively with other like minded individuals has to be one of the most divine parts of life. Next Next post: Brown + Black = ? So fab! 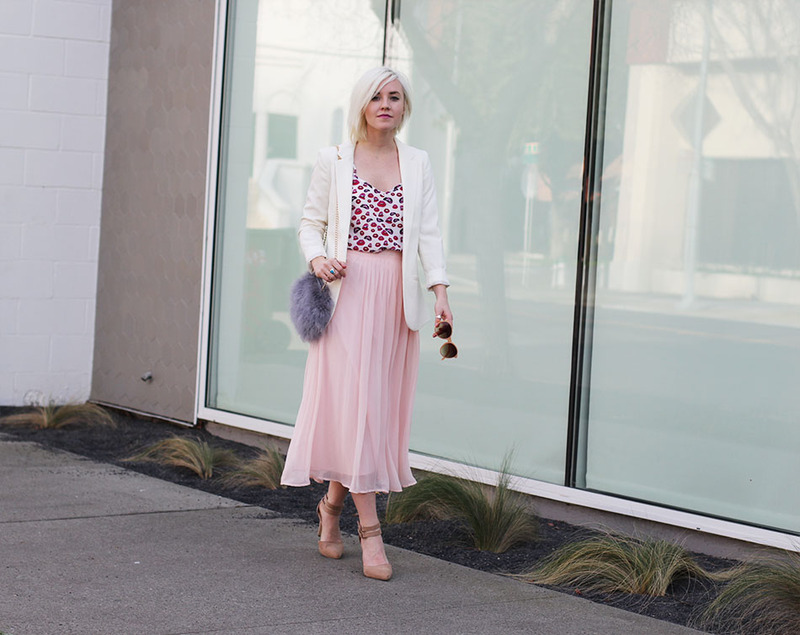 I love a good maxi/blazer combo. I couldnt agree more about having fresh eyes in your closet. Thats such a fun way to reinvent your wardrobe!